San Carlos Wellness Centre & Spa is offering Springtime Specials from April 13 until May 30. 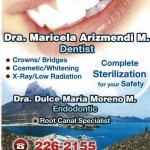 Dentist Maricela Arizmendi: dental team in San Carlos, Sonora Mexico. North of the Border dental equipment and expertise at South of the Border prices. At the dental office of Dr. Maricela Arizmendi, we strive to provide quality care to all of our patients. 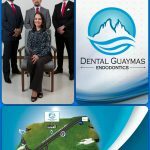 At our dental practice, we take an individualized approach to oral hygiene to address our patients’ specific needs, all the while maintaining an inviting, soothing office atmosphere. Current Promotion: $50 USD for a full checkup. 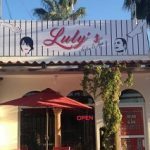 Luly’s Salon y Spa is a full service beauty salon in San Carlos Mexico. We specialize in hair cuts, hair care, styling, color, highlighting, nail care, skin care, facial / body waxing & threading, shaves and massages. 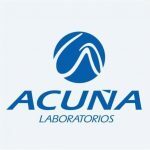 Laboratorio Acuña y Asociados, S.C. The lab most awarded in northwestern Mexico with more the 50 years of experience. Experienced hematologist check your cbc tests and use the latest technology and reagents for your prothrombin times. We used high technology equipment with extreme quality control verified by one of the largest global External Quality Assessment. Many of us have lived with pain at some point in our lives. Try our system of manual therapy and exercises designed to assist you to correct your own body. 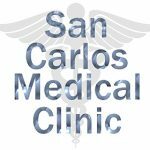 San Carlos Medical Clinic — Andrew Yakushevich, M.D. 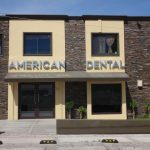 With over 37 years experience and in San Carlos since 1985, Dr. Pompa and Dr. Juan of American Dental are available to service all your dental needs. We invite you to our renovated clinic conveniently located in the heart of San Carlos on Blvd Beltrones, next to Thrifty Ice Cream. We are a team of specialist in Dental Practice / Oral Health Care in Guaymas. We provide health and dental care, and specialize in root canal treatments. Lic. Mariana Fortes, Physical Therapist, has an office at American Dental. She has a degree in Oncological Physiotherapy from the University of Guadalajara (Universidad Autónoma de Guadalajara). She has been practicing for 5 years in Obregon, and is now here in San Carlos. Richard Smithee – Passport to Health: chiropractor, acupuncturist, herbology, massage therapy, natural medicine, nutrition and lifestyle coaching.